No experience is necessary for these group trail rides! Sign up your group of 3-10 people for a ride through our beautiful, scenic horse trail. Rides must be booked and paid at least one week in advance. 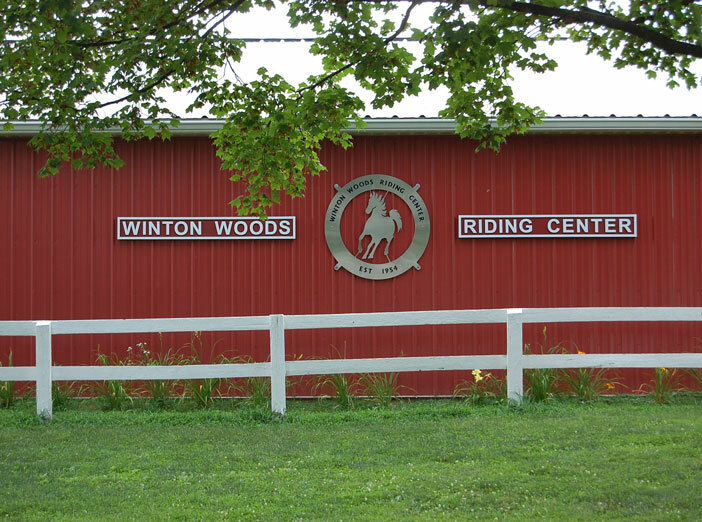 Bring your group out to the Winton Woods Riding Center (WWRC) to achieve badges such as Animal Lover, Horse Lover, Horse Fan and the Boy Scout Horsemanship. Special programs can also be tailored to your specific group’s interests and experiences. Programs are for groups of 3-20 scouts, ages 7 and up, and can be scheduled for Monday-Thursday during the day and Saturdays and Sundays at or around 5:30 p.m. Reservations are required at least two weeks in advance, and full payment is required at the time of reservation.